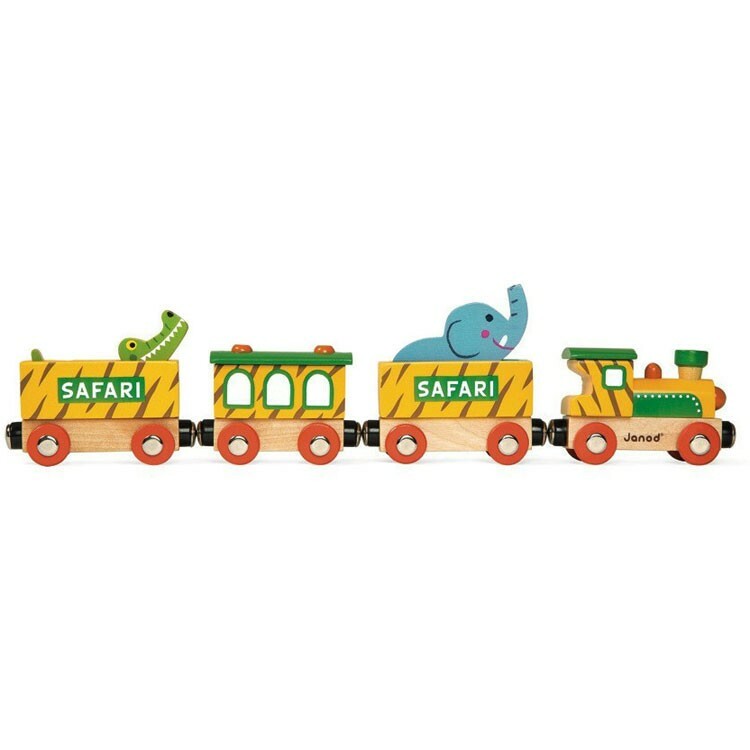 Build a safari theme wooden railroad with this Janod Story Express Safari kids train set! 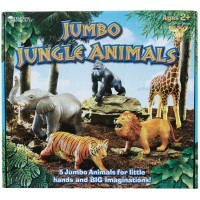 Let's build and play full of wild animals safari park! 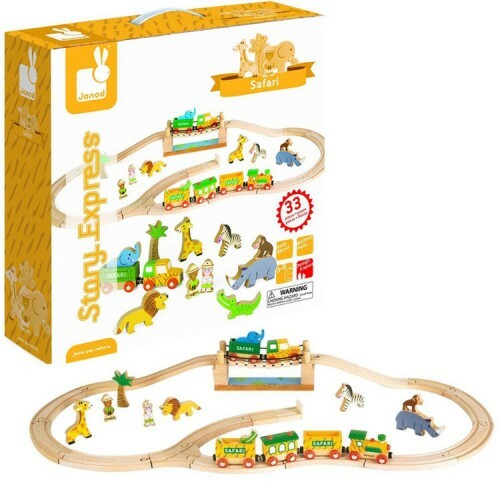 Story Express Safari Wooden Train Set by Janod is a complete building set to organize a pretend safari in your own playroom. 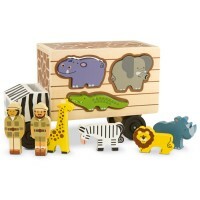 This animal theme wooden playset comes complete with 33 play pieces including a wooden train with 3 magnetic cars, a safari vehicle with trailer, 17 pieces of railway, 7 zoo animal figurines, 2 safari keepers characters, and safari play accessories. 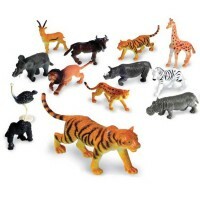 Put the wild animals around, build a wooden railtrack for your safari train and invite your family or toy visitors to play. 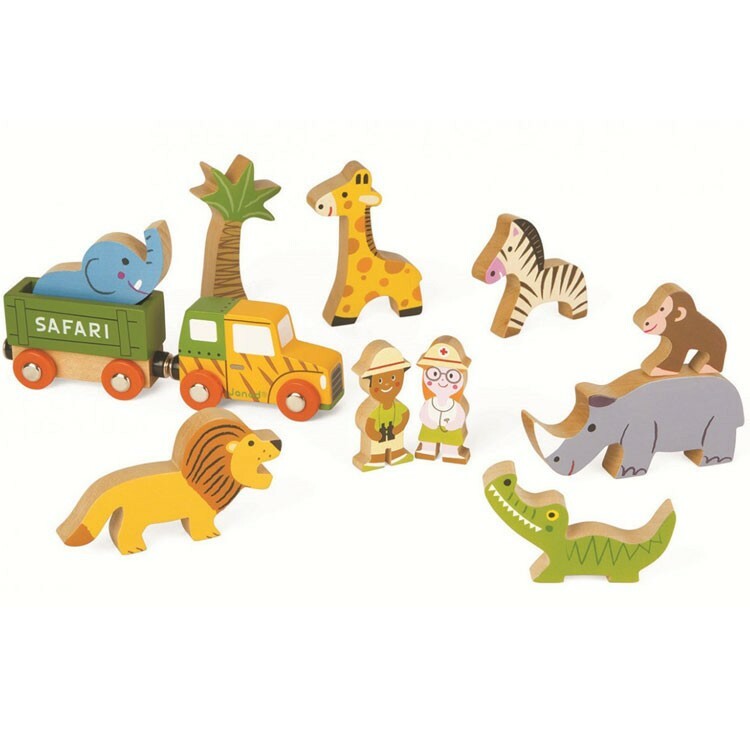 They will be delighted to learn more about elephant, lion, zebra, alligator, rhino, monkey, and giraffe; travel around the safari park on board of the little train, or meet the friendly safari keepers. 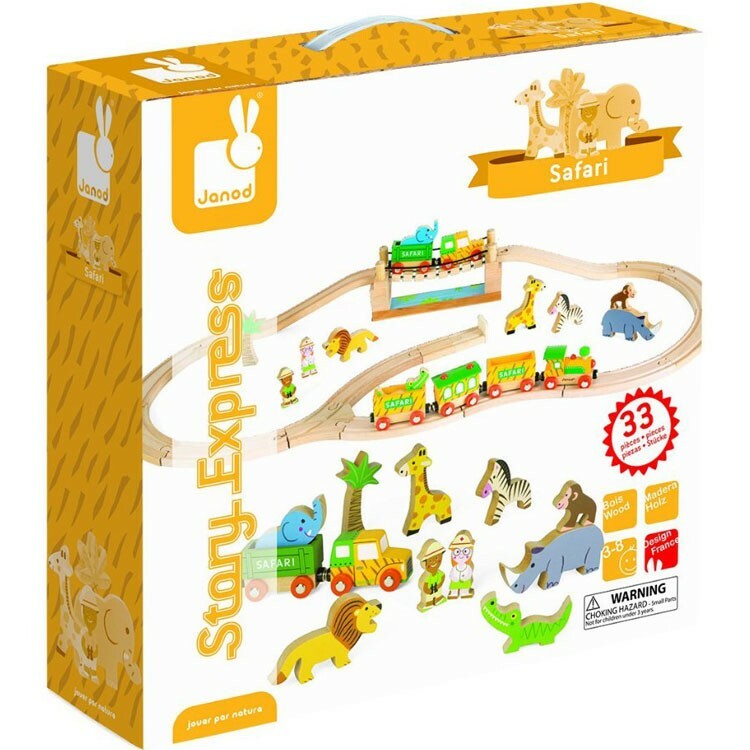 Explore safari, tell stories, build, pretend, and play with Story Express Safari Wooden Train Set. 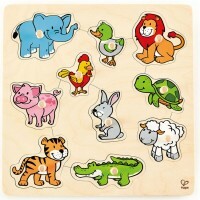 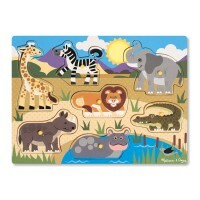 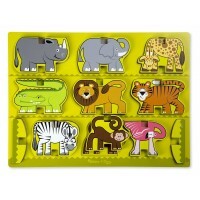 This deluxe safari play set from Educational Toys Planet is a terrific gift for preschool animal lovers. 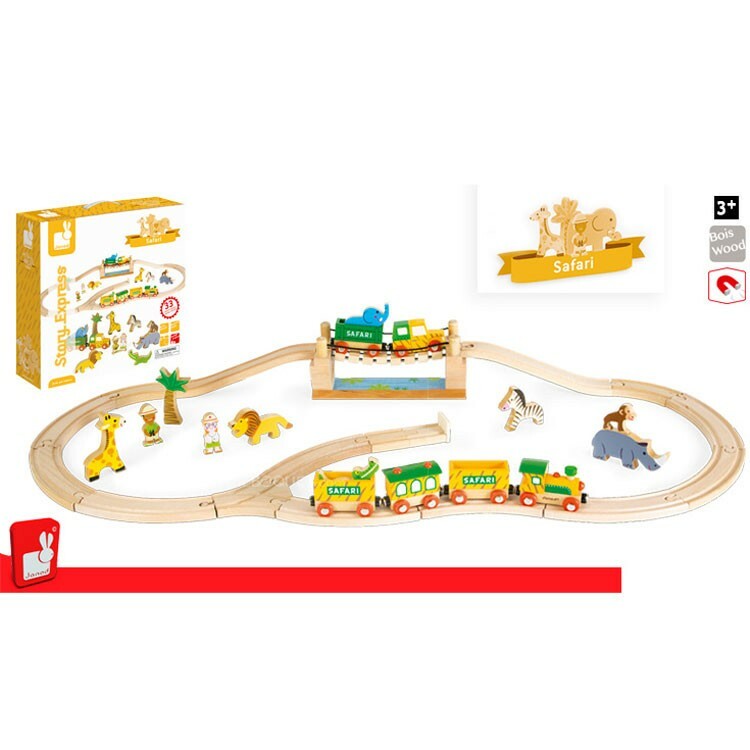 Dimensions of package 4.72" x 15.75" x 15.75"
Write your own review of Story Express Safari Wooden Train Set.